Colors by Llarowe Rare Orchid so gorgeous and frankly, so blingy that it actually threw my camera off. 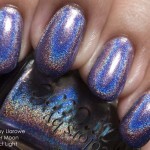 In the photos below you can see the gorgeous holo starting to come into play, especially on my middle finger. 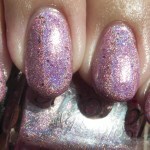 However, in diffused/lightbox lighting, Colors by Llarowe Rare Orchid really tended to show it’s beautiful fuchsia base. It’s almost like this color has a dual personality. Look at me, I’m Sandra Dee…well, it looks so demure and is such a pretty color that the song popped into my head. 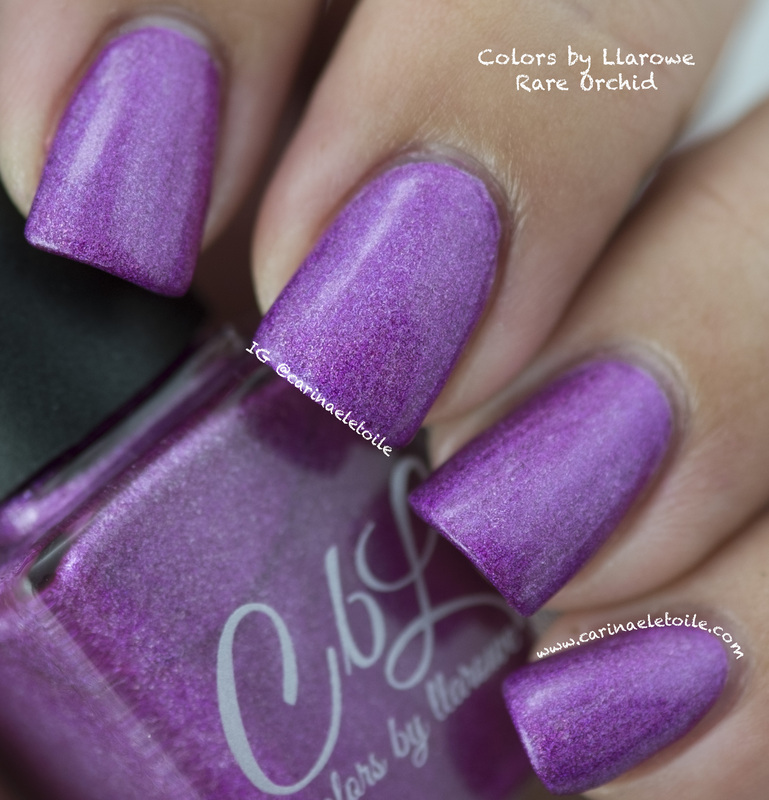 I do love the base color for Colors by Llarowe Rare Orchid. 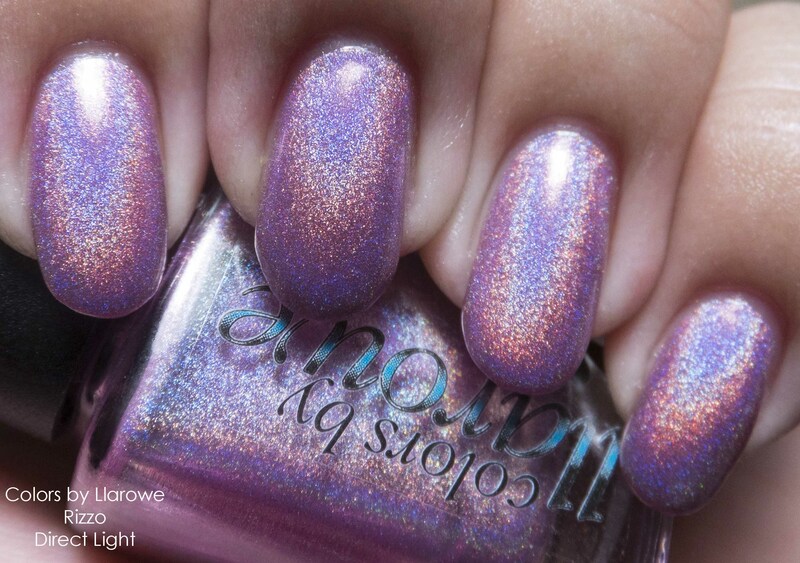 Colors by Llarowe Rare Orchid’s holo seemed a bit shy in this photo, but you can see the base looks darker in this direct light shot. 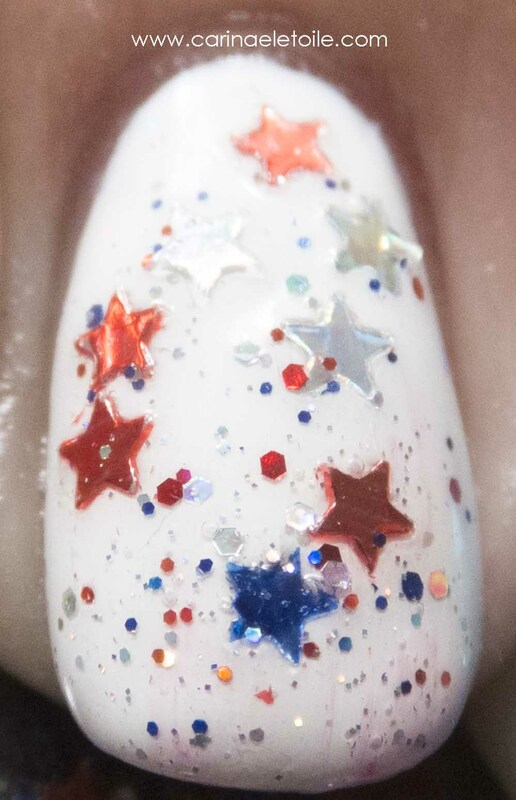 In all honesty, when worn in daylight/direct light, this polish is a real stunner. I got many compliments. The formula for this is great – it dried quickly between coats. I used 2 thin coats and then slapped on a quick drying top coat. 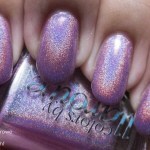 I have to admit that I’m smitten with Colors by Llarowe Rare Orchid. 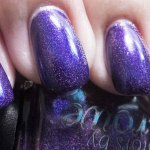 You can buy it online at www.llarowe.com for $12.00. 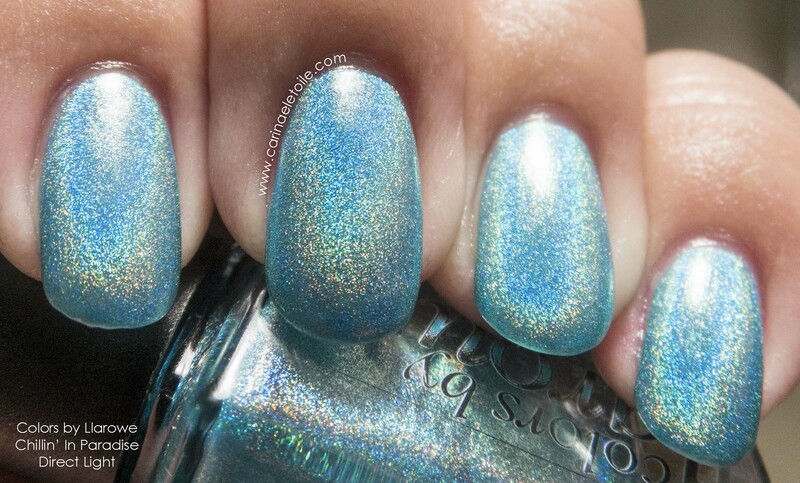 Now that you’ve seen it, do you think this is a color you must have? I know for me I was hesitant…but after wearing this for a few days, I knew I have a winner with this!